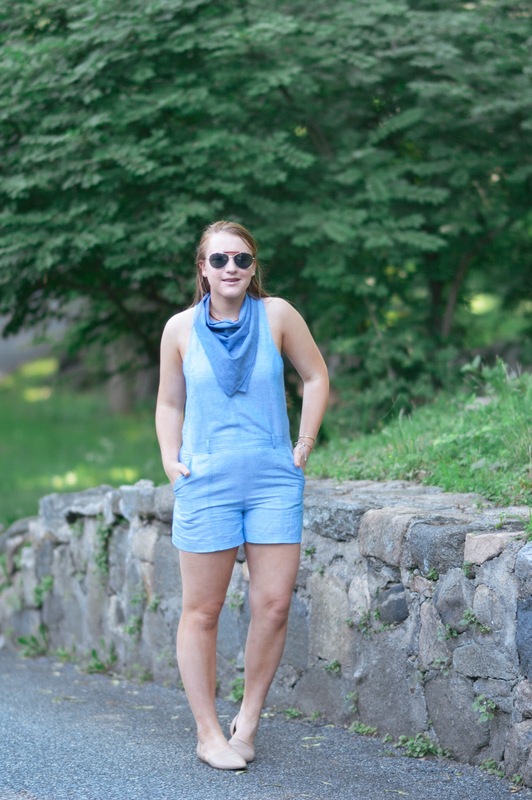 I used to stray away from denim on denim, but I know it has become a staple in the file: easiest outfits. 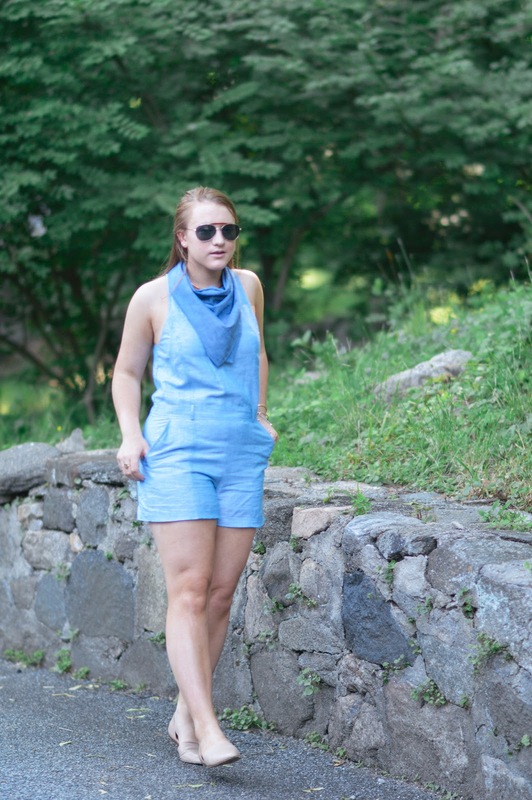 On that fact, this chambray (denim-same thing) romper with a scarf is my non-conventional twist on the Canadian tux. 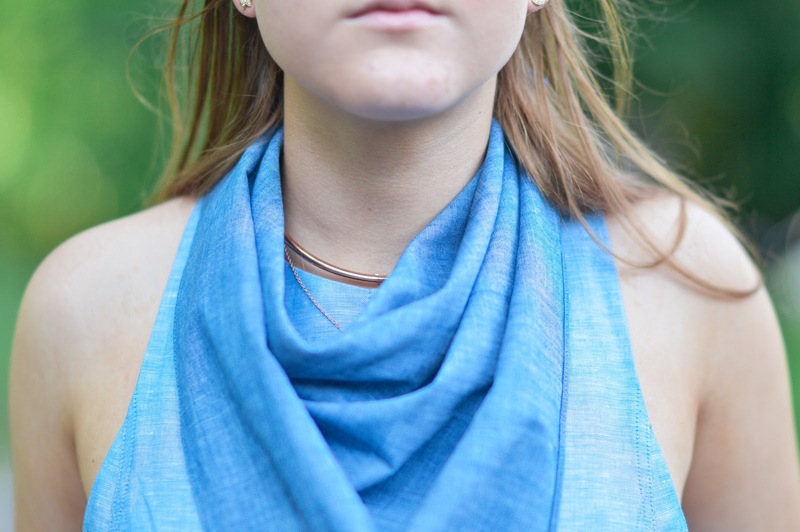 Plus, for a person who was never a fan of scarves- it was a short-lived phase that went down hill very fast- this chambray sale score is slowly opening the scarf door once again, this time around less tassels and pizazz. Chambray cowboy for the win. Don't be afraid to double up that denim. Even though the fabric is a classic, it can decay fast: #PROOF. 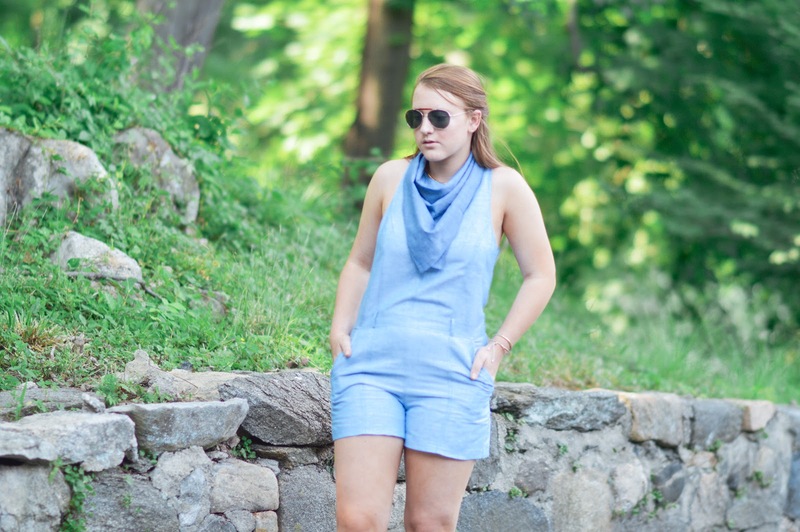 Bless Addison for creating the effortless chambray outfit in one that will be worn way too much for this summer by yours truly, of course. 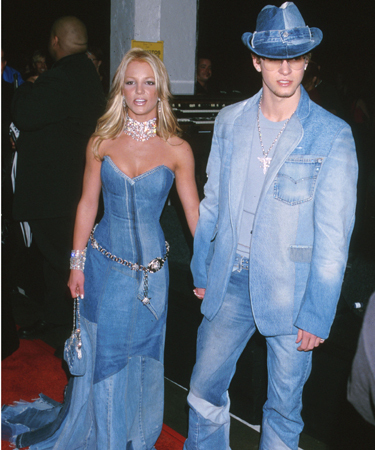 You look great in denim on denim! You totally pull off the denim on denim look! I love how you used the bandana as a scarf, too!